Each of these artisan earrings is hand crafted by talented creators. The artist carefully selects every part for its unique character. They assure you as well that it’s construction starts from materials with allergy free qualities. Please read each description to know exactly how they are made. As expected, each artist stands behind their work. So, the Sensitively Yours Lifetime Guarantee applies to them as well. These styles change frequently, so please check back often. Their latest work rotates into the product pages as they craft more styles. 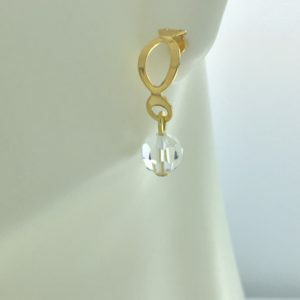 Sensitively Yours strives to provide you with unique, one-of-a-kind selections of allergy free earrings. The styles in this category exist nowhere else online. We individually select each artist. Therefore, each piece of the artist’s work displays the highest quality in beauty and hypoallergenic earring construction. Due to the handmade process of creating each one, take note of the limited quantities. So, we cannot guarantee an artist restocks them forever. Consequently, if you like a particular style, please consider buying and enjoying it all the sooner!